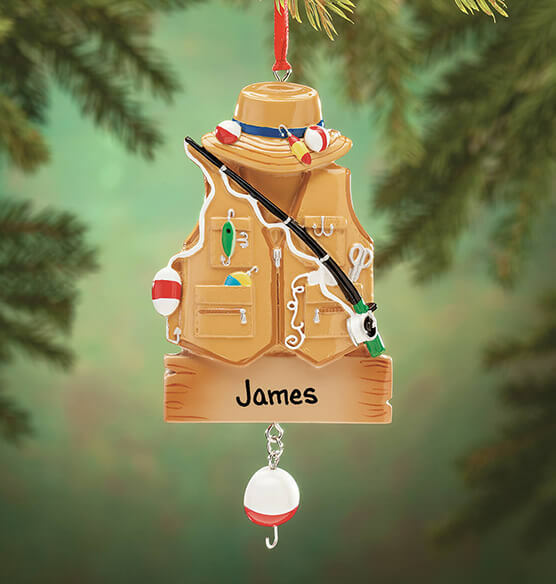 This fun Personalized Fisher Ornament is sure to "catch" the attention of your favorite angler—especially when personalized. Detailed with bobbers, hooks, a lure and rod. We'll personalize for one avid fishing enthusiast, creating a gift to fall for—hook line and sinker! Specify name/message. My 6 year old grandson loves to fish - he'll love this ornament!